Scorpio, or Scorpius, is the great constellation which influences the turning point in the life of the humanity and the life of the individual. It was the sting of Scorpio the Scorpion that resulted in the death of Orion the Hunter. The most striking of the summer constellations, and one of the few whose shape is easily recognized as what it was named, rises in the evening sky by mid-spring. Antares, marking the Scorpion's heart, is a red supergiant and the brightest star in Scorpio. The name Antares means "Rival of Ares," or "Rival of Mars," since Mars is the Roman name for Ares, the Greek god of war, and its red color gives it the appearance of the planet Mars. (These two are in fact conjunct every two years as Mars travels in its orbit along the ecliptic where Scorpio resides in the zodiac.) Red is the color of desire and this is the reddest star in the heavens; it symbolizes that red of desire underlying every manifestation of divine life. As is common with other red supergiants, Antares lies in a reddish cloud, this one some five light years in diameter. Colored and energized by the radiation from Antares, this cloud is composed of metallic dust, not gas. One of the four Royal Stars of ancient Persia and one of the Guardians of the Heavens, Antares is the splendid red star most probably named for the pre-Muhammad warrior Antarah, hero of one of the seven sacred poems of Arabia, the Golden Mu'allakat. Also called Kalb Aakrab, the Scorpion's Heart, it was one of the fortunate stations always associated with eminence and activity in humanity. Antares is the 15th brightest star in our sky, and probably the second largest one ~ next only to Betelgeuse in Orion. If set in our solar system, it would engulf all of the inner planets and extend well into the asteroid belt! This puts it at well over 500 times the size of the sun. Interestingly it lies some 520 light years from the earth, the same distance away as the star Betelgeuse (though in different directions). Because of its enormous size and relative proximity, Antares is one of the few stars in which the size of its disk can actually been measured. It is its size which gives it its brightness, not its temperature, for it is much cooler than the sun. The larger the size of a star, the greater the area from which it radiates its light. * Brightness of a star as seen from the earth. ** Brightness of a star as it would appear if they were all the same distance from the earth. This is the true relative brightness. As Tsing Lung, one of the four great divisions of Chinese astrology, Antares' brilliance was the equivalent of Mars. It was also known as Who Sing, protector against fire, and then as Ta Who, announcer of the principles of government to the other stars. In ancient China, the constellation Scorpius was not seen as a scorpion, it was the major portion of the large and regal figure of the Azure Dragon or Dragon of the East while Antares itself was titled the Fire Star. On some oriental charts the region of Antares ~ and the bright stars nearby ~ is labeled Ming T'ang, the Hall of Light or the Emperor's Council Hall. The Chinese dragon is not the hideous maiden-devouring monster of medieval Christian myth; he is the wise and majestic incarnation of the awesome power and infinite splendor of nature. The Roman, Arabic and French name for this star means the Heart of the Scorpion. In Babylonia, Antares was called Urbat, Lord of the Seed, Creator of Prosperity, the King and god of lightning, the Day-Heaven-bird. The Egyptians worshipped it as the goddess Selkit, heralding the sunrise in her temples at the autumn equinox, and as a symbol of Isis in pyramid ceremonials. Many ancient Greek temples were oriented towards the rising or setting of Antares at the vernal equinox: the Heraeum at Argos, the erechtheums at Athens and Corinth, and early temples to Apollo at Delphi and to Zeus at Aegina. In very ancient times, Scorpio spanned the two modern day constellations of Scorpio and Libra. The extended claws of the Scorpion were what is now Libra. In the western world, the name of this constellation has remained unchanged throughout all of recorded history. Many other cultures also saw a scorpion in the sky. The ancient Persians called it Kazhdum, meaning scorpion or scorpion-monster. The Akkadians, who inhabited Mesopotamia a couple of thousand years BC, gave it the name Girtab, which means stinger. Pre-Columbian civilizations referred to it as Zinaan ek, the seven stars of the scorpion. In the European Middle Ages, Scorpius represented the idea of unyielding fortitude. If surrounded by enemies, it would sting itself to death rather than give itself up to capture. This strong sense of ego, or self, is similar to the significance of its most eye-catching stellar member Antares. As Antares is very volatile and Mars-like, it is associated with rashness, stubbornness, destructiveness, and violence. Antares has a small companion star, usually described as green in color, possibly an optical effect due to contrast with the deep saffron-rose of the primary. The eastern royal star Aldebaran, the star of illumination, is directly across the zodiac from Antares, the star of anger, pride and revenge. In the only exact opposition of two major stars, Antares is a fixed star at 10 degrees of the sign Sagittarius, and Aldebaran is located at 10 degrees of the sign Gemini (rounding up). Aldeberan and Antares are both the alpha stars, or the brightest stars, of their respective constellations Taurus and Scorpio. They are also both five degrees of latitude south of the ecliptic. Aldeberan is 17 degrees north declination and Antares is 26 degrees south declination. The difference is, of course, because Aldeberan is in Taurus, which is north of the celestial equator, and Antares is in Scorpio, south of the celestial equator. Directly opposite Antares in the sidereal center of Taurus is Aldebaran, eye if the Bull. 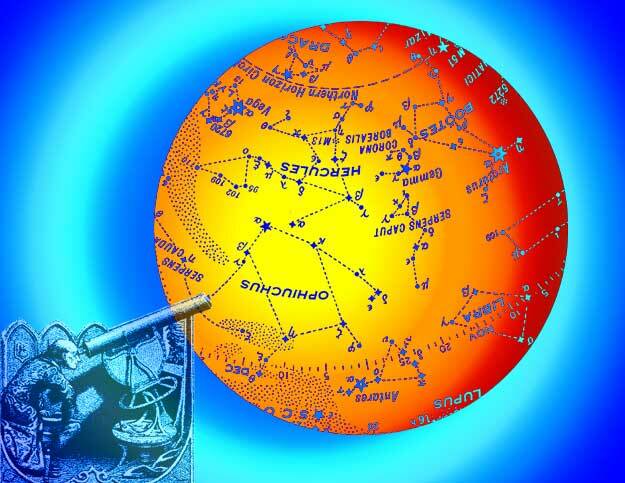 The Aldebaran / Antares axis is indicative of political systems, their people, and their opposing politics. Aldebaran holds and radiates vision for ideal physical logistics for authorities to put in place so as to aid the peoples of the Earth through evolutionary process and transition. Antares ensures that the current and accepted approaches and visions do not become static or antiquated. Antares ensures growth, evolution and change. If the Scorpion meets those bullheaded and stuck in their antiquated modality of life, the Scorpion's sting is not far off ~ hence its classical association with rebellious and destructive forces. Antares keeps the vision of Aldebaran up-to-date by challenging authoritarian powers. When there are rebellious or terrorizing forces assaulting the established order, this reflects the need to realize that the established order is no longer supporting in ways truly nourishing to the needs of the people, and requires some type of reform ~ reform that if denied, may result in some level of, otherwise unneeded, destruction. From an embracing transcendent perspective, Antares is the administrate seat directing the education of the incarnate souls regarding application of raw creative power. Antares oversees and stimulates the use of raw creative forces and use of power so that we can learn what is required for our true incarnational freedom and to become responsible creators of it. Antares is not a negative force or evil star, nor does it harbor any negative extraterrestrial faction, as is sometimes erroneously believed. In 2000 Pluto was conjunct Antares. Pluto visits Scorpio only once every 250 years. During its sweep through this part of the zodiac, Plutos orbit came closer to the sun than Neptune for approximately 20 years. Pluto is a dynamic force of creation and destruction. Pluto, the first ray planet of will power and purpose in our solar system assists in the destruction of the lower desires so that more highly evolved qualities can be expressed by the human being. In the destruction of old forms ~ be they physical, astral or mental ~ Pluto literally changes their atomic structure. Pluto causes major changes and forces the transcendence of personal desires into a more universal orientation. Pluto is the planet of death and rebirth. It personifies the destruction of things whose time has come to an end, and the regeneration of what is new. It is like decaying autumn leaves becoming nutrients for the spring; the caterpillar changing into a butterfly. It is the transformer that stimulates and catalyzes the Will. If you follow the brighter stars of Scorpius, you can easily find a string of stars beginning above Antares and coming down from Antares, then the string bends eastward. Another small set of stars comes down at a steep angle toward the east end of the string of stars. Most cultural mind-sets have had no trouble imagining a smooth bend to connect the string of stars with the little group above it. Thus, as we look at these stars we have, in our minds, the appearance of the letter "J," forming the classical outline of the Scorpion. It is interesting to note, however, that others are not led to see a smooth bend in the tail of Scorpius: they separate the string of stars that forms the body of the Scorpion from the ones that form the tail and stinger. Two examples might be of particular interest to Americans. The Skidi Pawnee saw a snake formed by the front part of Scorpius, but the stars of the stinger were, for those people, a pair of ducks. When the "Swimming Ducks" appeared in the twilight before sunrise, the Pawnee recognized that it was time to begin the ceremonies that continued through the planting, hunting and harvest seasons. The Swimming Ducks were the primary stars used to set the Skidi ceremonial calendar. The Navajo people also separate Scorpius into two constellations. The front is part of an important figure they call "First Big One," and the tail and stinger they know as "Rabbit Tracks." This rare, relatively recent cosmic event of Pluto passing by Antares is significant, as it has been directly opposed to Aldebaran, the Buddhas star of Revelation and Illumination. We have had the opportunity to call upon the qualities of Revelation and Illumination to work with the energies of Pluto on Antares toward bringing about transformation and evolution ... an opportunity for humanity as a whole to evolve the energies of conflict, anger, pride and revenge.